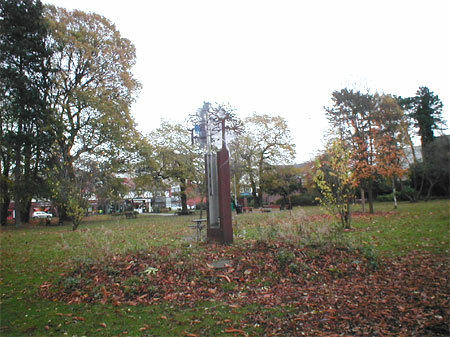 Oak Meadow Park in the centre of Cheadle Hulme is a valuable urban greenspace used by a wide variety of the local community. The parks infrastructure had deteriorated badly throughout the 1980’s and 1990’s as had the quality and amount of its grounds maintenance. This led to the formation of a Focus Group, an offshoot of the local District Centre Partnership, whose sole aim was to improve the quality of the park and return it to its heyday as the centre of community activity in Cheadle Hulme. The Focus Group comprised of local residents and business owners supported by Stockport Council has since raised significant funding towards new paths, benches, bins, gates and railings. The improvement since the group’s formation in 2002 has been dramatic. As well as the improved infrastructure facilities, new seasonal bedding areas, shrub beds, tree and bulb plantings have occurred often led by the group. The park now holds several significant events every year such as summer garden parties and Christmas carol concerts. It is now a busy, well used, and welcoming Local Park at the centre of community activity with a wide range of users. It is hoped that the Green Flag Award will both further encourage its use and raise its profile within the local community.